You're reviewing: Microsoft Office 2010 Professional Plus. The developers of Microsoft Office never cease to improve the apps in the productivity suites everyone knows and loves. This 2010 release of the Professional Plus pack is no different in that it offers all the apps your business needs for successful and effortless development. All programs included showcase a fresh new design, exciting new features and more user-friendly interface. 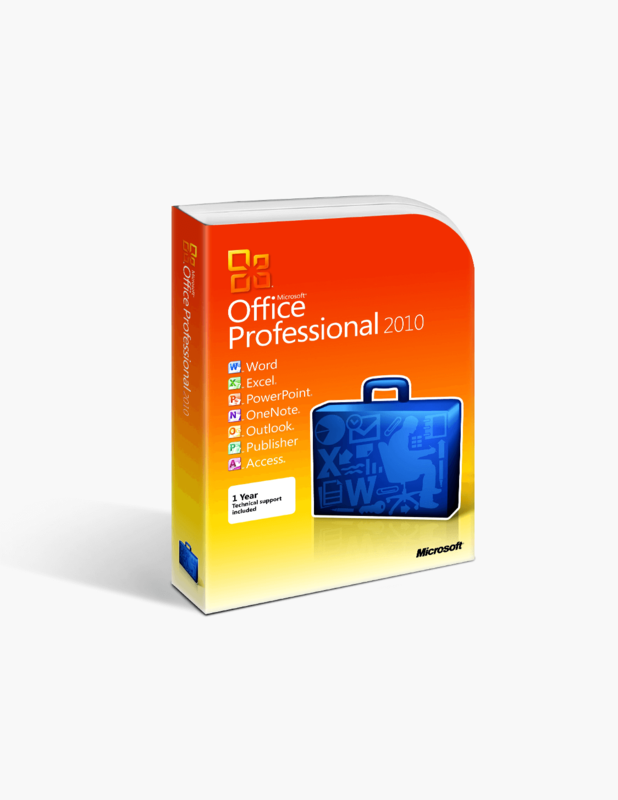 The 2010 Professional pack includes the most well-known MS Office apps, as well as a few extras that will no doubt become irreplaceable business facilitators. Word 2010 gives you the opportunity to create documents fast and easy and just the way you need them to look. With the improved Ribbon, all tools are now more conveniently placed for fast and precise work. More versatile than ever, Word 2010 allows you to edit different types of files, even PDF files! You also get a variety of templates so you won’t need to waste time in making adjustments and designing your documents. Excel 2010 is the easiest, yet precise and professional way to keep track of your finances. It possesses all tools you may need and with the 2010 version of the app you get a few more new and useful features to make you work even faster. Visualize data for more convenience with the Sparklines feature and filter data with the Slicer feature and visualize it for better management with Pivot Tables and Pivot Charts. PowerPoint 2010 offers a world of opportunities when it comes to creating stunning visual presentations. It helps you be more efficient as it includes even more tools for picture and media editing so you won’t have to use other software for editing. Now you can share your project online with the broadcasting feature, so it’s more accessible and reaches a wider audience. OneNote 2010 is changing the game as it’s quickly becoming a staple app for both developing and established businesses. What makes it stand out is that it not only lets you make notes - you can build full-blown projects with adding text, pictures, media files, tables and many more. Probably the most useful feature is that you can collaborate with your co-workers in real time so the whole team can throw in ideas! Outlook 2010 is more than just an email application - it’s your own personal manager. Being productive has never been easier as Outlook includes a calendar, contact book, task manager so you have everything that has to do with your business and personal tasks and communication in one place. With the new and improved features, the app does your job for you by ignoring lengthy or unimportant emails so you can focus on the important ones. Publisher 2010 is the perfect choice if you want to create professional-looking materials regarding your business with minimal effort. Posters, brochures, email templates are just a small part of the variety of visual materials you can create with Publisher 2010. Choose from the improved and newly-added photo-editing tools and customize your fonts with the new OpenType fonts to create the perfect end-product. Access 2010 makes data management easier with its variety of ready to use templates and useful tools. The app includes many new tools including a new macro builder that features IntelliSense which shows you options as you type. You can even create web databases and share them with your colleagues using SharePoint. The difference between the Professional and the Professional Plus packs are a few added apps and features that contribute to improving your business’ functionality. InfoPath 2010 is a powerful electronic forms client for designing and filling out web forms designed to help your business expand across more platforms. Communicator 2010 is an essential tool for your business communication needs as it lets you not only message people, but also have online meetings, share your desktop in a live session, show slides from PowerPoint presentations and even record meetings. SharePoint Workspace 2010 is a platform for online collaboration which now includes the feature co-authoring so you and your colleagues can on Word documents or PowerPoint presentations simultaneously. The Ribbon has undergone drastic improvements, both design-wise and functionality-wise. It’s easier to use, with a more user-friendly design and it allows customizing so you can create custom Ribbons with specific sets of tools for your convenience. The Backstage view is a new feature added to all apps for easier file management. Practicality is the key word here, as you have all tools necessary in the Backstage view to handle your documents - save them, upload them to SharePoint, pick templates. That’s also the place where you configure all the settings of the particular app for a more personalized experience. Collaboration in real time is easier than ever with SharePoint Workspace. MS Office caters to all the latest needs of the business world and connects you to your co-workers so you can create and work simultaneously online. Boost up your business and maintain its progress and success with the Professional Plus Pack and the additional apps it includes. The people behind Microsoft Office have made sure you have everything you need and a little extra to maximize productivity and efficiency. Microsoft Office is the natural choice of users regardless of their needs because the software has proven to be the most reliable, functional and versatile and has hardly any competitors on the market. If you really are keen on improving your business then the Professional Plus pack is definitely worth the money. The price is an investment and you will collect your interest in no time thanks to the efficiency of this office suit. These are minimum system requirements for installing Microsoft Office 2010 Professional Plus. CAD$349.99 | In Stock Want it Now? Order and receive your download instantly.